Hi, I am interested in your 2019 CFMoto ZForce 1000 (stock #CFM00153) listed on Autotrader for $13,999. I'd like to get more information about this vehicle and confirm its availability. Do you want a machine that refuses to quit? You got it. CFMOTOs line of sport Side by Sides is filled with the best side by sides in the industry. From white-knuckle speeds to hairpin turns, these high-performance vehicles conquer anything and everything you throw at them. 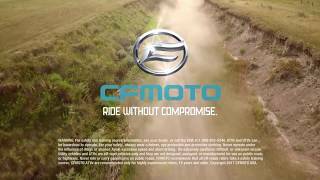 Take riding to the extreme with the sport line of CFMOTO side by sides. Each of these machines is designed to provide you with superior handling and unparalleled performance, whether youre hitting the trails or creating your own.